Whether or not you can change your fiscal year end depends on how your business is structured. Sole proprietorships, members of a partnerships in which all the partners are individuals and corporations are the only forms of business that can have a fiscal year-end other than December 31st. For sole proprietorships and partnerships you need to apply to the Canada Revenue Agency (CRA) to have a fiscal year-end other than December 31st. You can do so by filing Form T1139, Reconciliation of Business Income for Tax Purposes by the required date. The CRA will review your application and may or may not grant your request. For corporations your fiscal year-end is established when you file your first corporate tax (T2) return, however it must be within 53 weeks of your date of incorporation. For sole proprietorships and partnerships the procedure is the same as for new businesses - you need to file Form T1139, Reconciliation of Business Income for Tax Purposes with the CRA. The CRA will review and approve or reject your application. For corporations you must send a letter to the director of your local tax service office requesting a a change to your fiscal year-end and include an explanation of the reasons for the request. The CRA reviews all such requests and decides on a case-by-case basis whether to allow the change. Changes to your fiscal year period that occur because the fiscal year period is "revised by operation of law". So, for instance, if your business's fiscal year period changes because a sole proprietor dies or sells the business, or because a partnership ceases to exist. A corporation is being dissolved. (Note that a bankrupt corporation still must request approval to change its fiscal year-end.) A corporation becomes exempt from tax. A corporation relocates to another country (and will not be filing Canadian tax returns in future). The business has been acquired and the fiscal year-end is being changed to match the fiscal year-end of the other company for ease of bookkeeping. The business is seasonal so the company wishes to change the fiscal year-end date to coincide with the off-season period, thereby allowing more time for business planning, budgeting, and prepping tax returns and financial reports. Seasonal business typically reduce payroll during certain times of the year, so often choose fiscal year-end to finish when employees are laid off for the season. 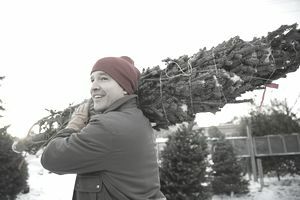 Examples of seasonal businesses where a different fiscal year-end might be beneficial include retail shops (who make most of their sales at Christmas), travel agencies, and construction and landscaping businesses. A corporation changes its fiscal period so that its fiscal year end date is the same as its parent company. The CRA's stated purpose for requiring approval of changes to fiscal periods is "to prevent taxpayers from rearranging their fiscal periods primarily to minimize taxes". If in the view of the CRA the request for change is to obtain a tax benefit or is being done for the personal convenience of the taxpayer the request will be denied.